The play Cinema 30 will be performed at Hosapeer theatre for three days starting 17 August. Cinema 30 is written and directed by Mahmoud Gamal and is performed by the Business Faculty of Ain Shams troupe. 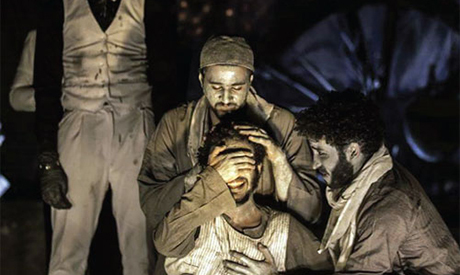 The play takes place in 1930, and re-imagines the events surrounding the filming of Egypt’s first non-silent film the village of Dai El-Qamar. While the villagers are fascinated after discovering the art of camera, the mayor and village leaders refuse to grant the crew permission to film, claiming the camera is religiously prohibited. Auditions and filming take place despite the mayor’s refusal, and the villagers are faced with comparing the script to the harsh realities of their own lives. Cinema 30 was staged during the 10th National Theatre Festival and stars Mehad Ahmed, Sandra Helmy, Shorouk Sherif, and Tarek Magdy, among others.